A petition calling on Quebec Health Minister Gaetan Barrette to lose weight has been cancelled amid accusations of bullying. Quebecer Pierre-Etienne Vachon launched the online petition on Wednesday, demanding Barrette slim down so he would better embody his role as health minister. "I'm asking him to be in shape. I’m not asking him to run a marathon," Vachon told CTV News. 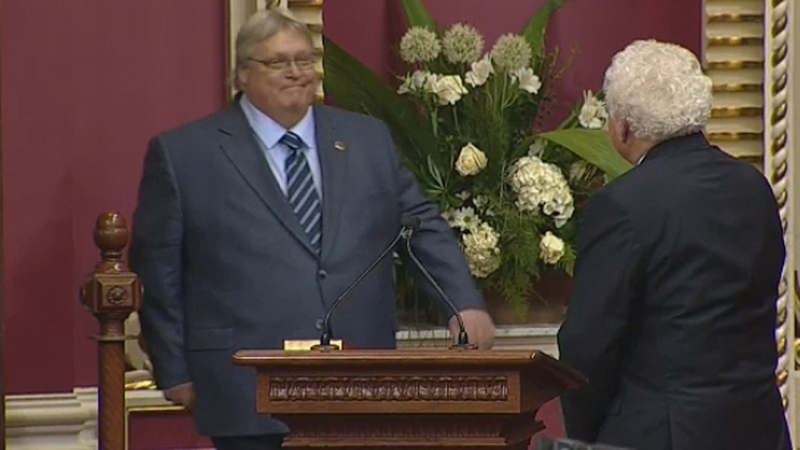 Commenting on the petition, Barrette said he wasn't elected to be a fashion model. "This is quite inelegant," the former head of the Medical Specialists Association of Quebec said. "If I were a regular citizen, yes, that would be bullying." Vachon wrote that the petition was not meant to bully the minister. 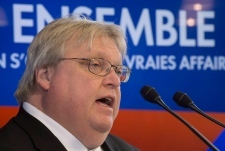 Instead, he said he merely wanted Barrette to reflect a picture of health for the province. “I find it deplorable that people are interpreting my initiative as a personal attack against Minister Barrette,” Vachon wrote on his website. When Vachon ended the petition Thursday, it had garnered a total of 9,865 signatures. In the accompanying web post, he said he's proud his petition spurred a conversation. "I sincerely believe it has already done its work." It's not the first time Barrette has taken heat for his weight. During the 2012 provincial election campaign, Parti Quebecois leader Pauline Marois said a health minister should be an example for his constituents. Experts say fat-shaming is not an effective means of encouraging people to lose weight. Rather, it can lead to anxiety and depression. Vachon said he recognizes and accepts that Barrette "probably has the necessary skills, at the administrative level, to fulfil his mandate."